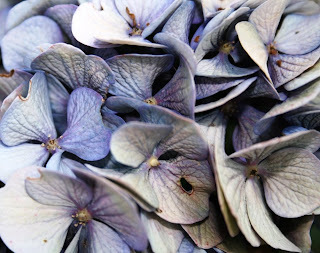 I posted some pictures of Hydrangeas during the summer. This is what they looked like about 2 weeks ago. I love how washed out they look. And the texture looks almost soft somehow. Anyway, I like this photo. I love this one, the washed out color is awesome! Great shot, and I agree it does look soft. My very favorite flowers - I love the muted tones on this one. You need an Etsy store!